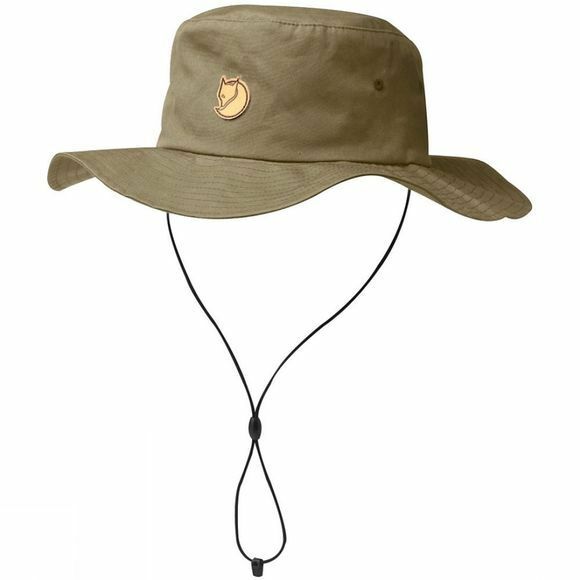 Wide-brimmed sun hat in quick-drying, cool G-1000 fabric. Leather Fjällräven logo on the forehead. Drawcord adjustment under the chin holds the hat in place when the wind picks up.